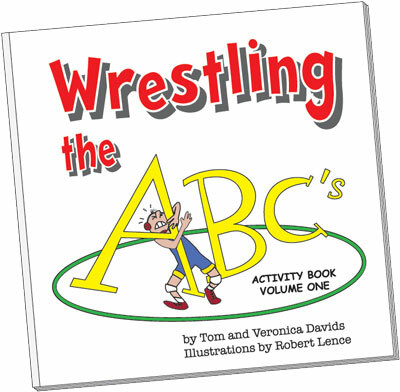 Created by Tom and Veronica Davids with cover and other illustrations by Robert Lence this book was designed as a supplement to Wrestling the ABC's children's picture book. This activity book contains educational puzzles and games with amateur wrestling as it's focal point. Coloring, dot to dot, unscramble, word search and others with varied levels of difficulty. Recommended for kindergarten to eighth grade.